More mothers today are entering the workforce and 92 percent of all men with children under the age of eighteen participate in the labor workforce. It is estimated that by 2012 there were more than 53,000 commercial childcare facilities in the US that averaged around $20 billion in revenue. As a result there is a constantly growing need for childcare services with Millennial’s reaching child bearing ages. A childcare daycare loan can provide your business the financing it needs to take advantage of the growing demands of this industry. With the increased employment of parents and extra disposable income, the dependence on child daycare services continues to grow. This is great news for many smaller childcare businesses, particularly because there is so much room for growth. By 2017 it is estimated that the childcare industry is expected to generate over $53 billion in revenue. 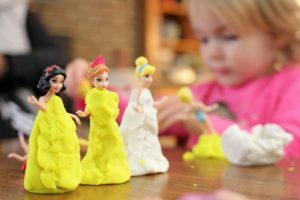 Financing for a childcare business can be difficult due to the nature of the business and a traditional bank’s uncertainty about lending to single proprietor or young businesses. As a result, a traditional lender will require years of financial and credit history to decide whether it is a prudent financial risk to extend a childcare daycare loan. Often a childcare daycare loan will require a minimum of two to three years of successful operations to be considered. The good news is that a childcare business is no longer dependent on traditional financial institutions. Nexus Financial Services offers childcare business owners alternative financing options, like a small business loan and a merchant cash advance, to allow owners the capital they need to strengthen their business and take advantage of new opportunities. A Simple Process – Apply online in minutes, get approved in 48 hours and access to funds in 72 hours! Higher Approval Rates – Approval for funding is based on the overall health of your business, not just FICO score. Daily Repayments – Daily scheduled payments mean no large lump sums are waiting for you at the end of the month. Flexible Terms – We offer terms up to 18 months and business funding amounts ranging from $5,000 to $500,000 so you can unlock your success. Business Age – Your business has been operating for a minimum of one year. Monthly Revenue – Your business monthly revenue is a minimum of $5,000 in sales. Credit Score – We take into consideration your business credit, but it is only one of several factors we consider. Why Choose Nexus Financial Services? Whether your business needs new equipment, additional inventory, more personnel, room to expand or an acquisition opportunity you don’t want to miss, we can help you obtain the financing your business needs to make it happen. Our small business loans and merchant cash advance are designed to help you start your business, manage the challenges as you build your business, or support you through the seasonal slow times of your industry. At Nexus Financial Services, we provide a variety of financial options for small businesses. We are there for you when you need to make fast investments to take advantage of available business opportunities. Our small business loans and merchant cash advance can be approved within a couple of days versus the weeks or months of a traditional lending institution. Because we have the experience and understanding of small business needs, we also offer some of the best small business loans and financing solutions available that result in the success of our clients.